Orcas Love Raingardens is a collaborative partnership between local government, public services and NGOs. Our vision is that all Tacoma Public Schools students and their families will have access to educational, interactive raingardens and will have opportunities to learn about the role of Green Infrastructure in protecting orcas. Protect orcas by accelerating the rate of raingarden installation and assisting with raingarden maintenance, thereby improving the health of Southern Resident orcas and reversing their population decline. Enhance collaboration by breaking down silos and pooling shared resources (expertise, funding, labor, curriculum, etc.) across partners to strategically support and expand Green Infrastructure in public spaces. Center equity by upholding values of diversity, equity, and inclusion, ensuring that social, racial, and economic justice concerns are considered and addressed when selecting locations for Green Infrastructure installation and continued support. Orcas Love Raingardens creates raingardens that provide equitable access to the health, social, cultural and educational benefits provided by natural spaces. Provide outdoor classroom space by installing raingardens at public schools and parks to bring learning outside, create gathering places for teachers and students, and integrate nature into school grounds. Orcas Love Raingardens aims to provide students and communities with the multiple health, well-being and cultural benefits of outdoor learning spaces, and hopes that all students interacting with our raingardens will recognize the impact of their daily actions on the health of the Salish Sea and advocate for improving the health of the ecosystem. Empower communities by engaging students, neighbors, and landowners in raingarden development and maintenance processes to integrate the unique needs of each community. Orcas Love Raingardens aims for every community to feel ownership and a sense of pride in their raingardens. 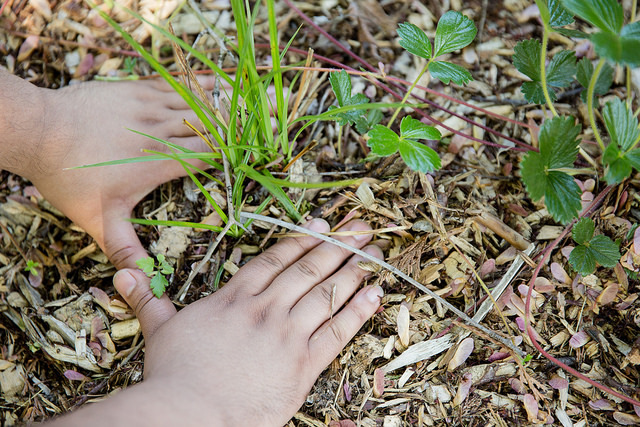 Support all sites by ensuring that all raingardens in the program have the resources needed to address long-term maintenance needs and ensure sustainability. OLR partners collaborate on all aspects of site selection, GI design and construction, ongoing site maintenance, and the provision of educational signage and other resources for all schools and parks enrolled in the program.